Bastar : India celebrates Dussehra to mark the victory of good over evil, when lord Rama had killed demon Ravana to free his wife Sita from his arrest. But here is something that is hard to believe, Bastar district in Chhattisgarh celebrates the day in a different way. Lord Rama who is believed to have spent major part of his 14-year long exile in Bastar has nothing to do with Dussehra celebration in the area. Here tribals hail Devi Maoli, Bastar's native deity and the elder sister of Devi Danteshwari. The celebrations cut across caste and creed, spreading bonhomie between the people. 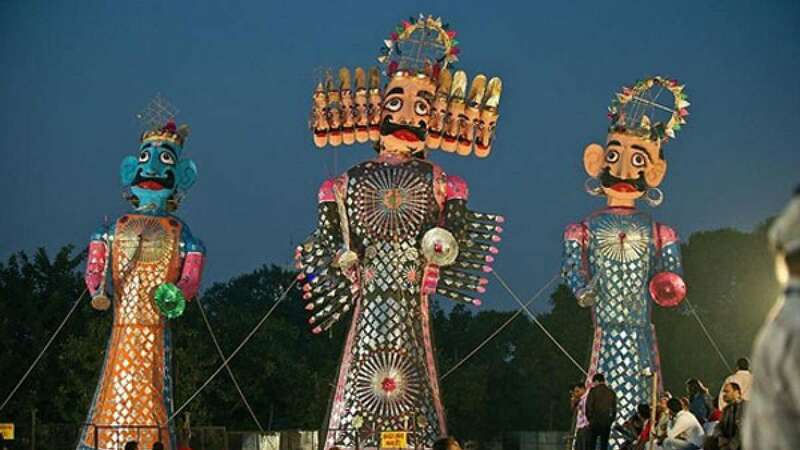 # Bastar's Dussehra is world famous and goes on for 75 days. Now, people have started celebrating massively for 12 days. # In last 10 days, a four-wheel chariot decked up with flowers goes for a round from second to the fourth day. # Every year a new rath is made by tribals and the celebrations are grand every year. # It was under King Dalpat Dev in the 17th century that Dussehra started being celebrated in Jagdalpur. It has since been known as Jagdalpur Dussehra. # Nearly 20,000 people participate in the festival every year.